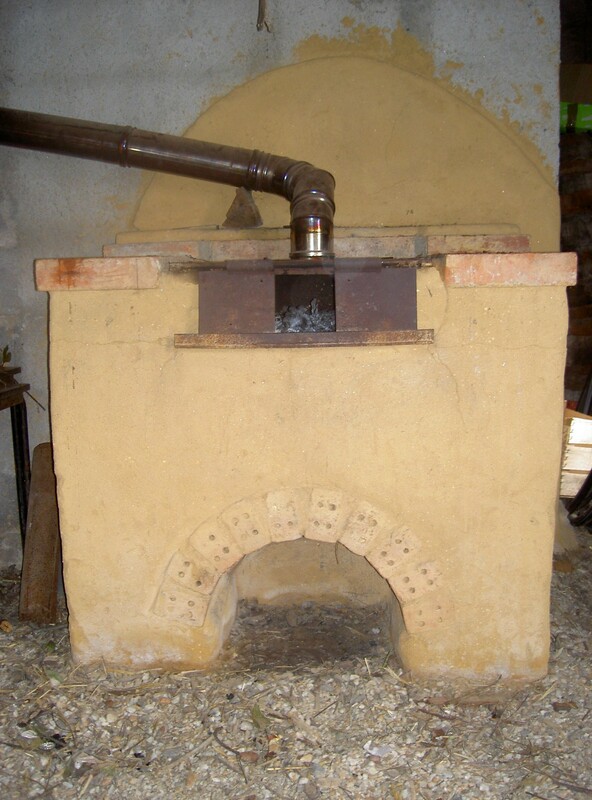 This will be old news for those who have visited us over the past few months, but it seems rather appropriate to show you some photos of the stove we’ve installed in the Volunteer / Training Room on the first day where it’s felt like winter this year. Although unnecessary when we use the space to accommodate courses in the summer, a heat source and somewhere to heat a simple meal or boil a kettle are desperately needed when the space is used as a hang out area for our volunteers in the winter. 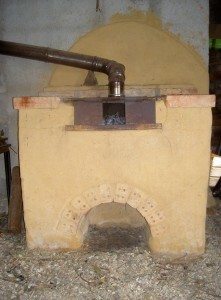 With an old stove, some adobe blocks created in the summer and some cob, we’ve made something pretty good. 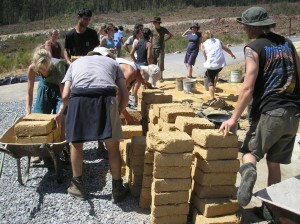 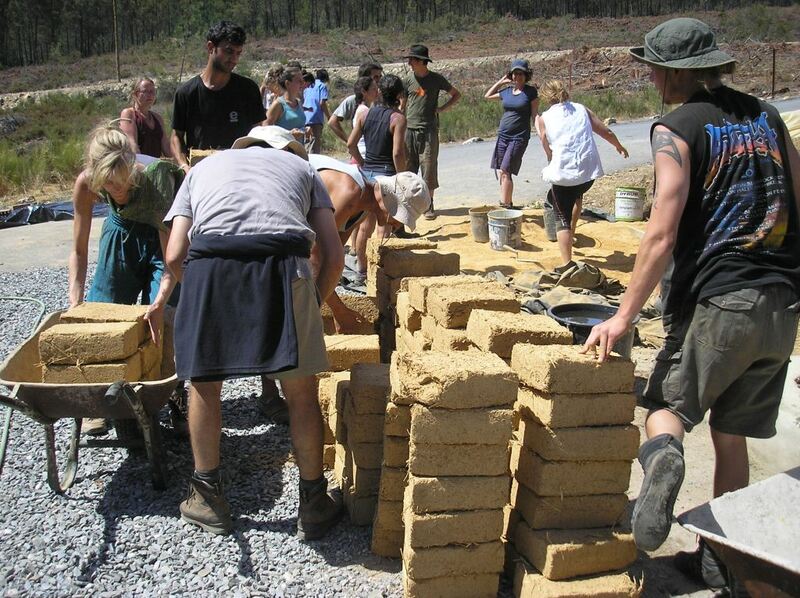 Left: Summer 2012 – Adobe blocks made as part of a Permaculture Design Course. 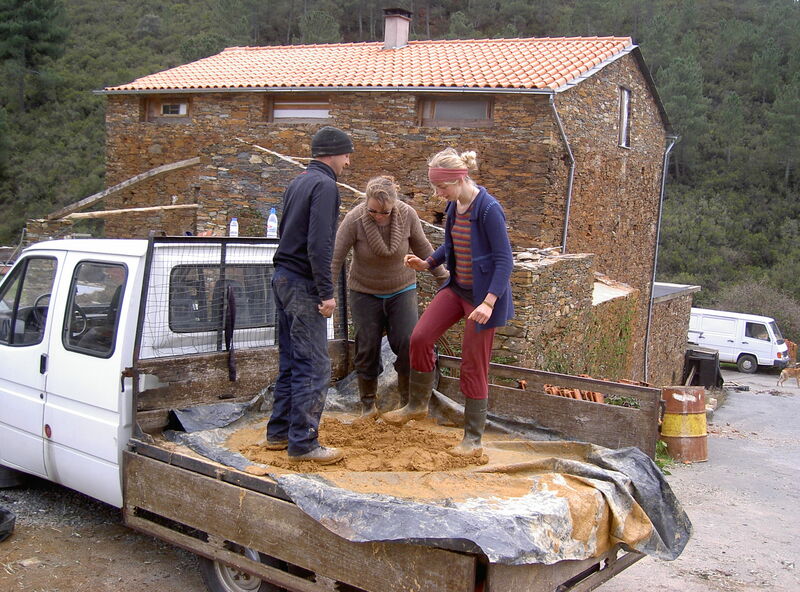 Below: Volunteers KT, Jim and Julia found that dancing on cob in the bed of the truck is a great way to keep warm in winter. 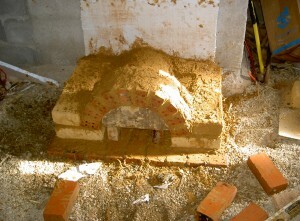 Left and Below: Reclaimed bricks form the archway, with our adobe blocks forming the bulk of the structure. 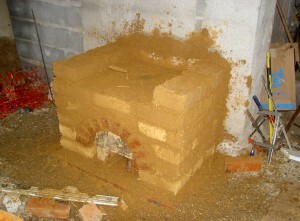 And the completed stove, ready for warming chilly mornings, chatting around at night, and drying socks!